Food: The hotel has two restaurants, Viento Kitchen + Bar and Cascades Pool Bar. We really enjoyed them both. 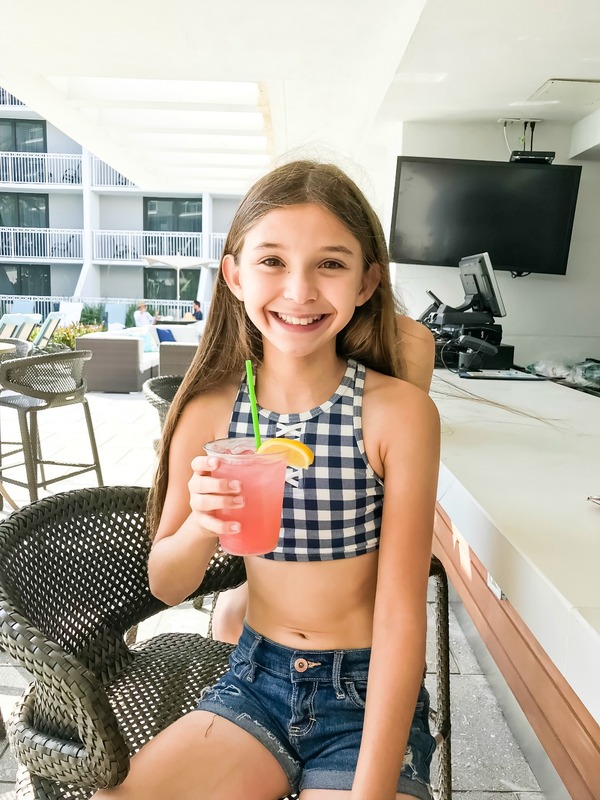 The Viento Kitchen + Bar was a great place to have an early dinner and watch the sunset, since the elevated outdoor seating overlooks the pool area and the ocean. Their menu included bucatini bolognese, lobster ravioli, grilled Alaskan salmon, espresso bone ribeye, and more. They also have plenty of kids options too, with classic favorites like chicken fingers for your picky eaters, lol. Cascades Pool Bar had your bar food favorites like pizza, wings, french fries … but more importantly, they had wonderful hand crafted drinks and a daily happy hour. Pool: As you can see in the photos, the giant oceanside pool and hot tub are the center piece of the resort and the poolside service was amazing. 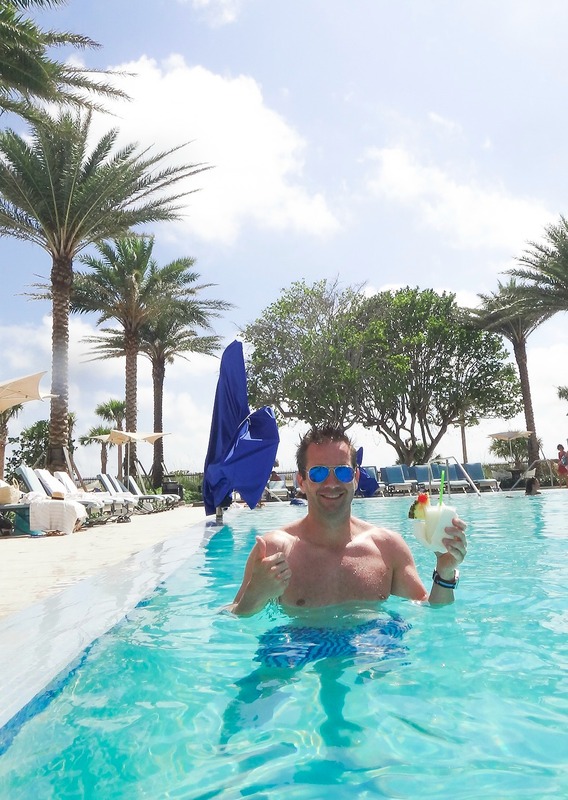 They literally delivered fresh drinks straight to your hand as you lounged in the pool or hot tub, which in my opinion underlines a luxury experience. Cris and I kept those piña coladas coming and it was pink lemonades for the kids. They also offer gorgeous cabanas if you bring a group or plan to stay poolside for an extended timeframe. 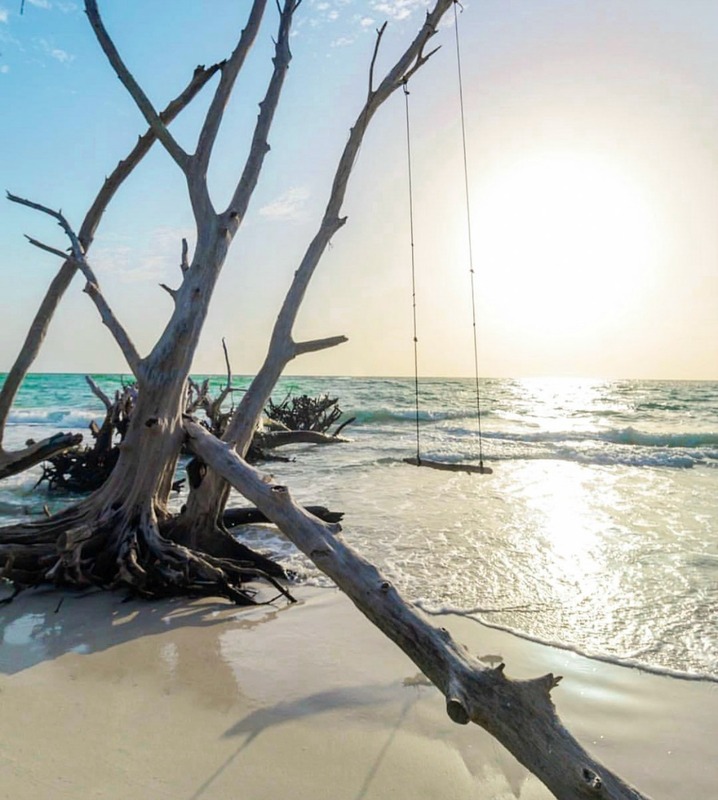 Beach: The beach is beautiful of course and the Gulf Coast never disappoints. From the beautiful blues & greens to the awe inspiring sunsets and the bath warm waters … you just can’t go wrong. The resort compliments this amazing nature with your choice of anything from a simple towel and umbrella all the way to a full size bed & canopy + side tables, to lounge away your day. Note that these amenities are a paid feature though, so bring your own umbrella if you’re seeking budget savings. Things to do near by: When I go to the beach, I mainly like to relax and disconnect. On this particular trip, we literally never left the resort and didn’t feel like we needed to. The unwind was much needed and enjoyed. 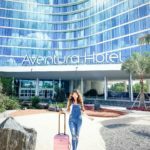 However for those who do want to get out or are staying for an extended timeframe, you can find everything nearby that Florida destinations generally offer. Golf, fishing charters and a wide variety of water sports are available with a quick call down to the resort concierge. The Mote Marine Aquarium, Tree Umph and Marie Selby Botanical Gardens are some other places to visit while you’re there. In Conclusion: I would highly recommend Zota Beach Resort. We found it to be the perfect resort to get away with the family, or for a romantic and relaxing couples getaway. I’m going to have to go back for sure and find that swing I mentioned above … because that was the main reason I went to Longboat Key in the first place. 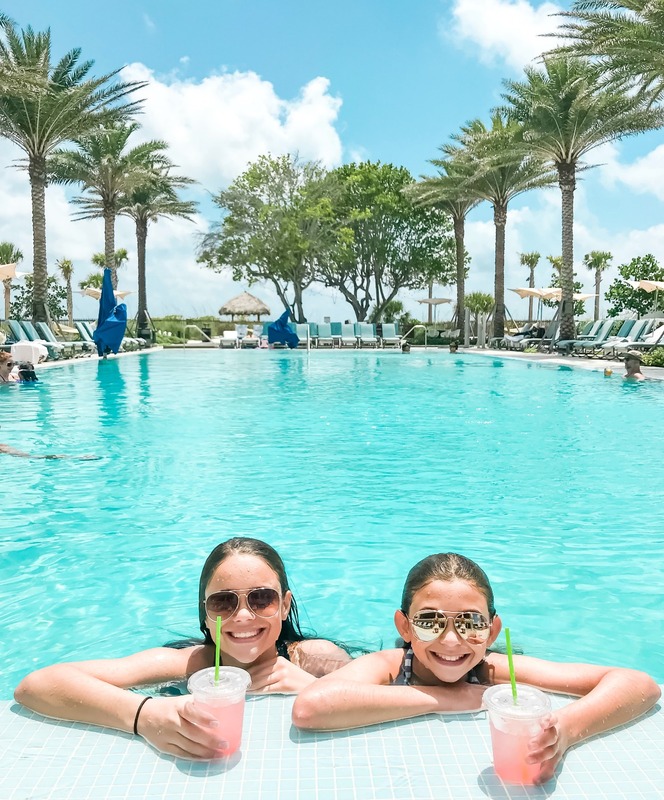 But since the resort was so great and we unwound so well, we honestly forgot all about it until we were driving home. Make sure to check out my Insta Story with some of my Zota Beach Resort highlights. Hotel special: To celebrate the official start of Summer and the Summer solstice, the Opal Collection summer flash sale starts today, June 21. Book during this 72-hour sale to save on your next Longboat Key getaway. *Blackout dates apply. Must book by 11:59 p.m. EST on June 23.